"A man, fallen on hard times, sold his art collection but kept his wine cellar. When asked why he did not sell his wine, he said, 'A man can live without art, but not without culture.'" 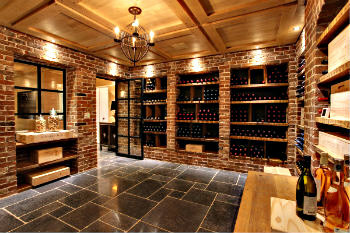 This Wine Cellar at Vaillant House is expertly designed to be both functional and extremely attractive. Wine cellars protect wine from harmful external influences by maintaining a consistent temperature. Wine like food is a perishable product. If wine is exposed to too much heat, light, or humidity, it can spoil. A good cellar helps the wine maintain its quality but may also improve both the aroma and complexity of a particular vintage. Wine cellars have been in existence for over 3,700 years. Many Americans travel to France, Italy, Spain, Germany and Portugal to visit famous wine cellars and taste premier vintage wines. Wine connoisseurs who appreciate and collect wine, particulary grape wines from certain regions, can truly appreciate a wine cellar. 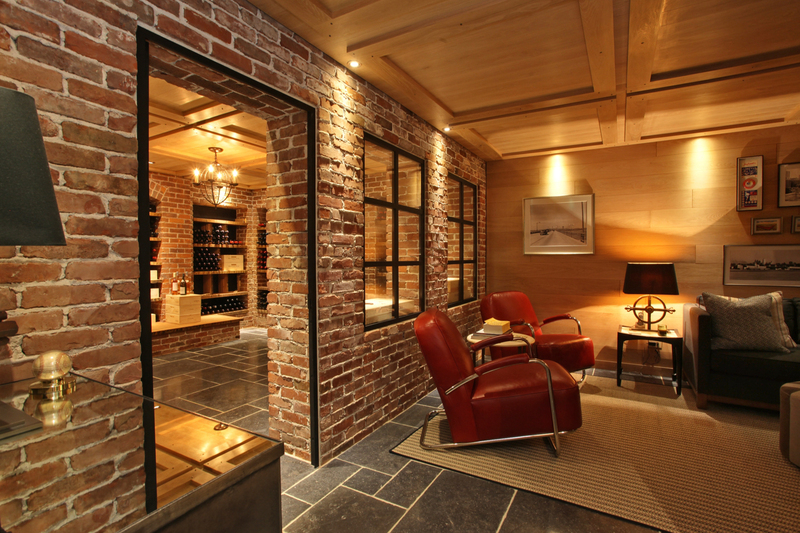 Is there a wonderful spot to sample a favorite wine than this sitting area outside this cellar? Sinewy, lithe and expressive, packing red berry, black cherry and cardamon aromas and flavors into a tightly focused package. The finish expands and powers up, driving a long and meary finish, displays muscle and poise. drink though 2022. From the McLaren Vale, Australia with an issue date of June 15th, 2014. Here is an interesting article on the property that was featured in Rural Intelligence. To see more images and details on the Vaillant House, please click here.